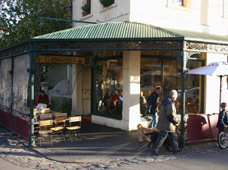 Each precinct has its own distinct style, intimate atmosphere, original shops, bars and cafes. This is what makes Melbourne a rich and interesting place. Each of these Melbourne areas are great for window-shopping and to get your hands on unique and originally designed objects, fashion, vintage, or one-off interesting wares from around the world. A stroll down the quirky and bohemian Brunswick Street, Fitzroy, is perhaps not secret but it is a must. It is 15 minutes from the city on the #112 tram. Life in Fitzroy starts around lunchtime and does not stop till late at night. Saturdays is somewhat of an exception when cafes are filled with people doing breakfast all morning. Another insiders Melbourne tip is the Rose St Artists Market on Saturdays. This is an original local designers, artists and makers market and one of the best of Melbourne markets. 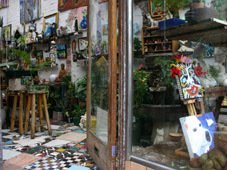 Fitzroy has a fascinating collection of original quaint bars, cafes, eclectic shops, bookshops, galleries, with lots of unique and locally made goods, clothes, jewellery and works of art. It has character, although not as spick and span as some of the other Melbourne shopping. Its original self-expression and passion are genuine and you are always likely to find something special you werent looking for. If you keep on going on the #112 tram line, you get to St Georges Road, Fitzroy North. Around Scotchmer and Holden Streets, you will find great communities of small quirky shops and cafes, as well as some quality galleries and nurseries - and great places for lunch. Fitzroy North is smaller and more intimate than Fitzroy proper. The North Fitzroy community spirit particularly comes to life during the Village Festival, held in spring in the Edinburgh Gardens. Just northeast from there is a small shopping strip along High Street, Westgarth. 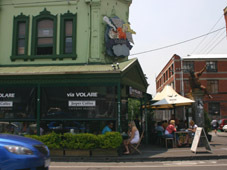 This is popular with locals and, similar to Fitzroy North, also has a smaller number of intricate shops, bars and cafes. You can get there from the city with the #86 tram. Further up on the tram line, in the Northcote end of High Street, you get to a larger but intimate shopping strip with a fantastic variety of small shops  interior décor and home wares, clothes, food, flowers, toys  and within that a mix of bars cafes and restaurants - a real insiders Melbourne tip. One of my favourite Melbourne 'villages' is Rathdowne Street in North Carlton, between Alexander Parade and Fenwick Street. This is relaxed, but a bit more hip and trendy, with small number of gourmet restaurants, cheap pizzerias, relaxing cafes and boutiques, bookshops and other unique shops. 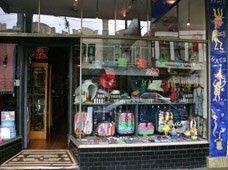 Lygon Street, Brunswick, north of Brunswick Road, is another insiders area - with bars, cafes, interesting shops, as well as factory outlets. It is on the #1 and #8 tram lines. - walk along Sydney Road, Brunswick. This is on the #19 tram. Sydney Road is the longest continuous shopping strip in Melbourne with an interesting mix of ethnic and excentric shops and restaurants, as well as wholesale outlets, and a number of popular pubs and bars. If you are after an intimate Melbourne experience, make sure you dont miss these original precincts.